Managing notification is a big part of your Android experience. Apart from notifications about calls and messages, the several apps installed in your phone keep sending push notifications. Most of them turn out to be advertisement and spam and can be quite irritating to receive them from time to time. In our haste, we often swipe away an important notification from the screen. Once you have done that, there is no way to recover or view them. It makes many Android app developers venture on a project to develop sophisticated apps to manage Android notifications. One useful feature that Android lacks is the notifications snoozing method usually used by mailing services. You can set reminders in your inbox to snooze the incoming notification to be accessed later at a specific time or program. This would improve the unique Android notification system to a great extent and render it more useful. In this article, we will discuss how you can use your Android OS to get access to notifications you have swiped off. It is limited in its function, but can serve the purpose of viewing logs of missed notifications. Android devices using OS versions of 4.3 or higher can use android’s in-built settings to view received notifications. For this you need to follow the steps to add a widget on your screen. This can be done by long pressing any area of the home screen and then applying the widget option. From the widget list look for an option called “Settings Shortcut.” Then add it to the main screen by holding and dragging it to the main screen. After this you will be presented with a menu of listed options. Tap on the item called “Notification Log” to add the icon to your home screen. Opening the program shows you all the past notifications that you have received recently. The main drawback of this technique is that you do not get the information of the notifications. You can see the app or program which published the notification and the time at which it was received. But you cannot read the actual content of the notifications. For that, you have to use some third party notification management app. 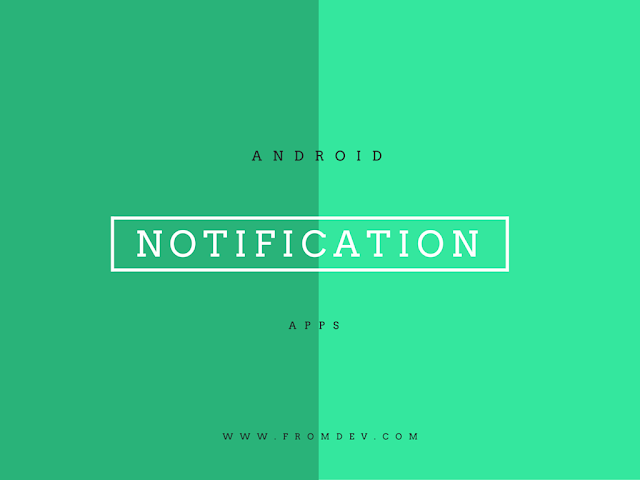 Many specialized apps are available on Google Play made by best android app development companies which make your notifications more useful. We will talk about the best of them. This app from Kiwi Tree is a powerful way to access and manage your recent notifications. You can view past notifications along with a snapshot of the information and details. NotifLog also saves copies of your notifications so that you never lose anything by mistake. The snoozing option is an essential feature which is useful for setting reminders for the recent notifications. You can also rearrange the notifications to your own preference. The ad supported version of the app is free, whereas you have to shell out $ 2.99 for the ad-free pro version. If you want the feel of Windows phone or Windows 8 from your notifications, then this app is perfect for you. Metro Notifications use the android hardware and software to present customized notifications in the Windows 8 style. Floatifications integrates Facebook’s chat head style interface to display the notifications received by the phone. It offers complete access to notifications as you can view them in full-screen mode. If a notification arrives when you are using another app, it can be read on screen without the need of closing the app. Additional features can be added to Floatifications by using plug-ins from Google Play. You can also download themes for changing its looks. You can test the app for 14 days under the free trial but have to pay $ 2 once the period expires. This app from Android app development company, Great Bytes Software, concentrates on managing notifications from the locked screen of your smartphone. After you are done with the setup process, the app will display notifications from all authorized apps on the locked screen. You can pull the icons from the lower part of the screen and place the slider to left for accessing the apps from notifications directly. Alternatively, you can use the normal way of unlocking by dragging them to the right. The paid version of Dynamic Notifications offers the Auto Wake feature which shows the notification screen when you pick up the phone. You can also set Night Mode and apply widgets. The swipe actions can also be customized in the paid version which costs $ 1.99. Best Android app development companies are looking forward to the exciting changes awaiting with the release of Android N. Many times the design and feel of Android turn out to be monotonous and boring. Many users of Android seek the amazing interface and design of iOS on their phones. Android app developers from Espier have introduced their app which gives your notifications the iPhone appearance. The traditional notification bar of android is turned into a design featuring the Apple trend. Additional icons can be downloaded to replace the Android feel with an iOS experience. The priced version of Espier Notifications comes at $ 5 which provides options to edit the font, color, size and layout of the icons. This app works best in combination with other Espier apps on Google. You can get rid of the advertising by going for the paid version. Not all notifications are useless. The smartphone is an important device of communication and performing business. We surely do not want to miss out essential updates about our work, family, and other important aspects. MegaSound Beta comes handy in this case as it allows users to set specific tones or music for particular apps and programs. You may not want to change your default notification tones for each app. The simple app is best for assigning special tones to notifications that require your attention. The ‘+’ sign on the action bar can be used to apply settings for each app. The Android app development company is still running the app in Beta mode, and you may encounter few bugs. Still, this free app is best if you want an audio customization of your notification system. Ritesh Patil is the co-founder of Mobisoft Infotech that helps startups and enterprises in mobile technology. He loves technology, especially mobile technology. He’s an avid blogger and writes on mobile application. He works in a leading android app development company with skilled android app developers that has developed innovative mobile applications across various fields such as Finance, Insurance, Health, Entertainment, Productivity, Social Causes, Education and many more and has bagged numerous awards for the same.